Wicked problems are solved when policymakers, industry leaders, not-for-profits, and academics come together, bringing to bear their collective expertise. So why don't we always do that? Maybe because it's not that simple. 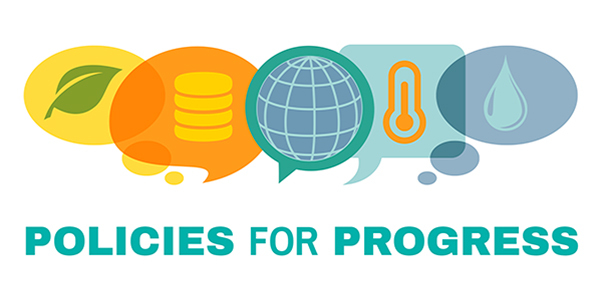 Join us on May 20th at Policies for Progress to be part of the discussion on what it looks like for multidisciplinary research teams and external stakeholders to work together to solve a problem and possibly make new connections and catalyze new ideas! Anyone who has an interest in solving global grand challenges is welcome to join us for discussion, networking, and idea generation. Policies for Progress is the capstone event for the Breaking Through: Developing Multidisciplinary Solutions to Global Grand Challenges research project funded by The Andrew W. Mellon Foundation. Find more info about the project here. Experts from four multidisciplinary teams will share findings and results of their groundbreaking work on the Breaking Through research project. Stakeholders, that is policy makers, practitioners, and more, who were integrated into these projects will discuss the successes, benefits, as well as challenges in partnering with academia in the event outlined below. The Andrew W. Mellon Foundation supports a unique, interdisciplinary, innovative approach to global grand challenges research, scholarly publishing and communication at Purdue. The approach catalyzes the involvement of humanists and social scientists in grand challenges research, innovation, and policy formation, and embeds policy experts, publishing professionals, and libraries faculty in the scholarly communication process from the beginning. The evolving model expands our capacity for diverse, multidisciplinary discovery and drives beneficial change in scholarly publishing in order to more effectively and swiftly raise public awareness, inform stakeholders, and improve the human condition with the latest research. There is no cost to attend. However, registration is required. Please visit our Eventbrite page to RSVP by Friday, May 10, 2019.